Good bed wedge pillow manufacturers design and make bed wedge’s based on the results of their extensive research obtained from the customer feedback that they receive over a period of time. 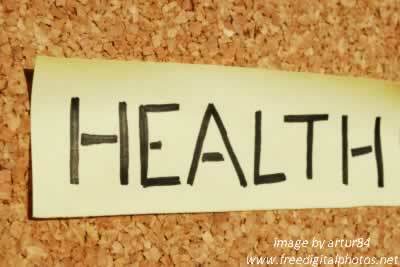 Based on the inputs received, they tend to focus mainly on five major health conditions. A properly well designed wedge pillow should be able to aid in overcoming the pain associated with following ailments. Specially designed pillow wedges are designed for number of specific medical condition. The bed wedge pillow should not only support the lower lumbar but also should be able to take the stress of the spine and back muscles. 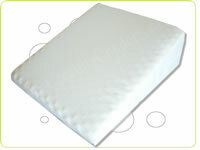 For back sleepers, there are specially designed memory foam wedge pillows. The comfort bed wedge pillow with its well defined contour features should be much beneficial to side and back sleepers especially when it comes to maintaining the spine as straight as possible. It’s a known health fact that for some people the muscles at the throat could cause limited air flow resulting in breathlessness during sleep. Depending on the severity of the suffering, a specially designed CPAP pillow can be used along with a inclined wedge pillow & CPAP device to restore breath and thus oxygenation is promoted during sleep. It has a cut out for the breathing device and also take care of the neck and face as needed. In the medical world, this condition could lead to fatal conditions if left undiagnosed as it can develop to a cancerous form known as Barrett’s oesophagus. The condition is caused by back flow of the contents (acid) from the stomach to oesophagus when the stomach is at a level position, especially whilst in a resting position and a wedge pillow for acid reflux /gerd will help overcome this. It can easily be adapted to fit on top of the mattress and personal preference can lead to the wedges being placed under the mattress giving the same desired effect. The advantage of wedge pillows being placed on top of the bed is that due to its narrow width is it does not effect the partner of the person with the condition. Patient recovering from leg surgery can by using a bed wedge pillow as a leg raise improve blood circulation and maintain a comfortable leg position. Often taken as an indication for varicose vein, lower leg pains are often caused by low blood circulation so a wedge will definitely help. It is advisable to get the doctor’s permission before proceeding to use a knee wedge pillow for patients who have had knee replacement surgery. According to studies, when turned on our sides, a person stops snoring. Unfortunately its tough to stay on ones sides without proper support to the back and neck. This is where contoured memory foam pillow, snore stop pillow or a bed wedge pillow can help. It can elevate and cradle the head which can effectively halt snoring. An adjustable sleep wedge with a smaller incline can support to a good extent the side sleepers and can tilt the head whenever needed to stop snoring. Do you currently own a bed wedge pillow? Let us know by leaving your comments below! Did you know ...That due to their versatility, bed wedge pillows are a cost effective support aid!